Noted elder aboriginal actor, George Clutesi (who played Old Bernard), appeared in two episodes. In one he helps Hack deal with the importance of an ancestral medicine bag, and in the other he teaches Tafia the value of true art. Check the episode synopsis link above for more details. The haunting theme song was penned by Canadian/American music and acting legend, Buffy Ste. Marie. 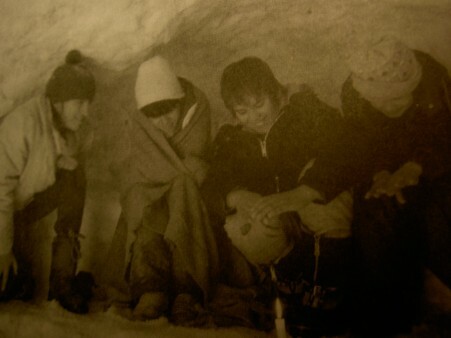 The show was shot on location in MacDiarmid, Ontario on Lake Nipigon at the Rocky Bay First Nation. The modern school in Rocky Bay has been named the Spirit Bay School. As well the new community gas station has also been named Spirit Bay. A fictitious community has become reality in some forms. 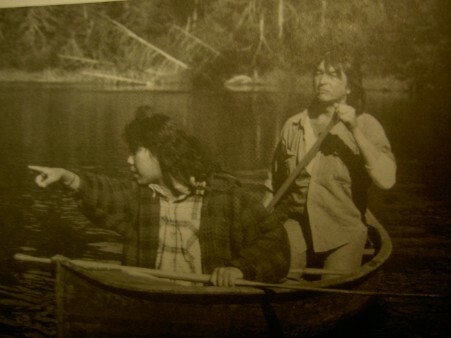 Lenore out canoeing with her father Pete (Graham Greene). Elton needs parts for his bike. 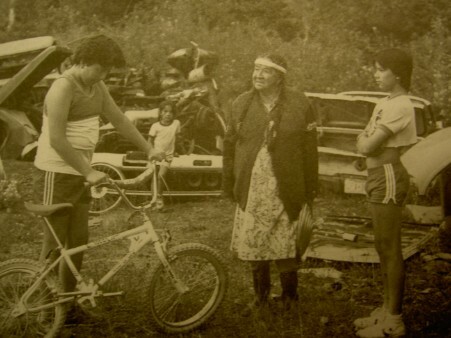 Elder Teawash helps him, while Rabbit and Elton's little brother, Tonka, look on. Rose, a child of the forest, saves the kid's broomball team after a winter bus accident leaves them stranded. 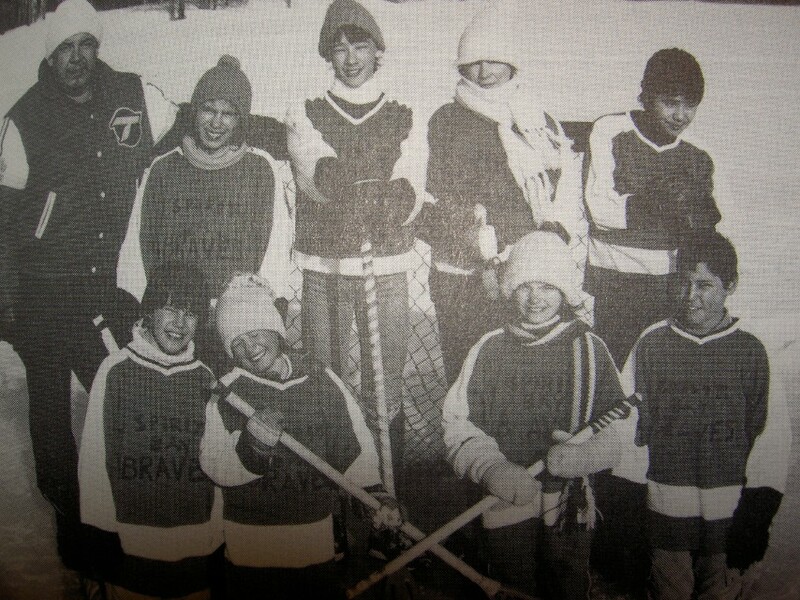 The Spirit Bay Braves broomball team pose. Rose is top row- 2nd from the left; Rabbit is top row -3rd from left; Hack is top row- far right.